This USB B male to male adapter is ideal to convert existing usb type B Female cables to Male Type connector. 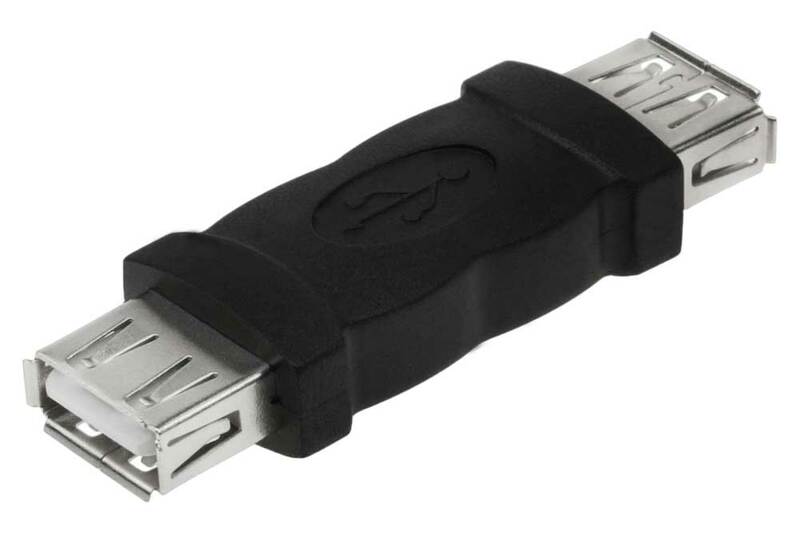 This USB A Male to B Female Adapter is ideal to convert existing usb type B cables to Type A Male connector. Easily convert existing cables to your needs. This adapter molded construction provides durability and its gold plated contacts provide reliable connections with repeated mating cycles. This USB A Female to B Male Adapter is ideal to convert existing usb type A cables to Type B Male connector. Connectors: 1 x USB B Type Male , 1 x USB B Type Female. Molded construction provides durability. Easily convert existing cables to your needs. Connecting your USB mouse to a PS/2 port on your computer. Simply plug this compact adapter into any PS/2 port, then connect your mouse. 1 x Type A Female to 1 x Type B 4 pin Male. Type: Adapter. Easily convert existing cables to your needs. Molded Adapter construction provides durability. 1 x USB Type A Female to 1 x USB Type B 5 pin Male. Type: Adapter. Molded Adapter provides durability. Gold plated contacts provide reliable connections. 1 x USB Type B Female to 1 x Mini USB Type B 4 pin Male. Type: Adapter. Molded Adapter provides durability. Gold plated contacts provide reliable connections. 1 x USB Type B Female to 1 x Mini USB Type B 5 pin Male. Type: Adapter. Molded Adapter provides durability. Gold plated contacts provide reliable connections. SFCable has an array of USB couplers to choose from. You can choose from a wide range of adapters to comply with your various connectivity requirements. USB couplers are used largely in your day to day applications. Different products are available to promote connection between various female HD15 and HDMI, male/female micro USBs and 5 pin, 6 pin, male and female micro USBs. These USBs can be used to connect various external devices to your computer or other devices. Our products are offered at very low prices but not at the cost of quality. All the products are RoHS compliant and environment friendly.